A 54-year-old biotech worker accused of shooting and seriously wounding a fellow employee at their Carmel Mountain Ranch workplace is scheduled to be arraigned Thurday at the downtown courthouse. SAN DIEGO (CNS) - A 54-year-old biotech worker accused of shooting and seriously wounding a fellow employee at their Carmel Mountain Ranch workplace was charged Thursday with attempted murder and assault with a semiautomatic firearm. Arraignment for Julio Riel Narvaez III was rescheduled to Friday when he was not medically cleared to come to court. Narvaez allegedly took aim at his co-worker in a warehouse at the offices of Phamatech Inc. in the 15100 block of Innovation Drive about 1:45 p.m. Tuesday, according to San Diego police. Officers responding to the shooting arrived to find the 37-year-old employee of the drug-testing and laboratory-services business suffering from a bullet wound to the head and Narvaez being held down on the floor by other workers, Lt. Charles Lara said. 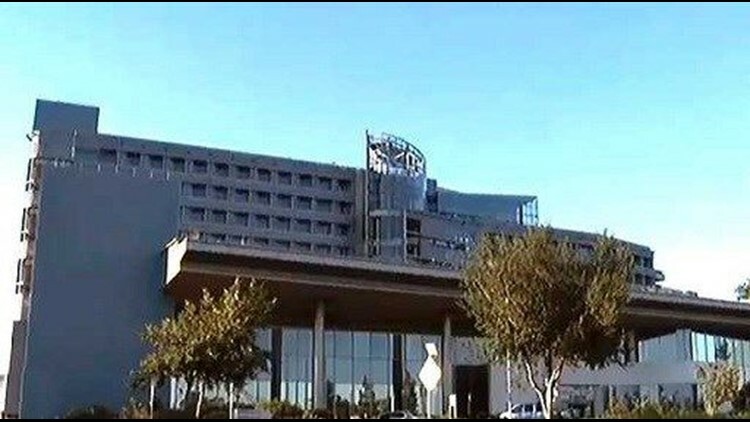 Paramedics took the victim, who was conscious and able to speak, to Palomar Medical Center in Escondido, where he was admitted in critical condition. It was unclear exactly what prompted the violence between the two co- workers. "This appears to be a case of workplace violence, some manner of interpersonal issue between the shooter and the victim," Lara said. Following the gunfire, the suspected shooter went to a different area of the building, the lieutenant said. There, another employee watched as Narvaez approached a human-resources office and someone inside it slammed the door on him. "At that point, that employee, as he put it, put a move on (Narvaez) and took him to the ground," the lieutenant said. "And I think only then did he discover (the suspect) was actually armed with a handgun. ... Some other employee kicked the firearm away, and when we arrived, (Narvaez) was zip-tied and being held to the ground." Narvaez was being held without bail pending arraignment.